i like that blue over the lime green from first look videos. i did not like the white with red top either. i am liking the new front end but not sold on the wrap around taillights yet. we lost our ev incentives here in Ontario so i believe this along with the kona ev/niro ev will be too expensive for most compared to gas versions. i had a friend completely sold on getting an EV but now that rebate is gone no longer considered an option. Odd that the colors are so muted. No wild colors (other than the Orange, which looks more like Red on my monitor). And the two-tone colors should be complementary -- so the top color pops -- rather very close to each other in the color wheel -- a black roof on a dark blue car doesn't wow me, and neither does a white roof on a gold (beige?) car. Plus, having only 2000 for sale in S. Korea doesn't bode well for the numbers that might be available in the USA. How many will the USA get? 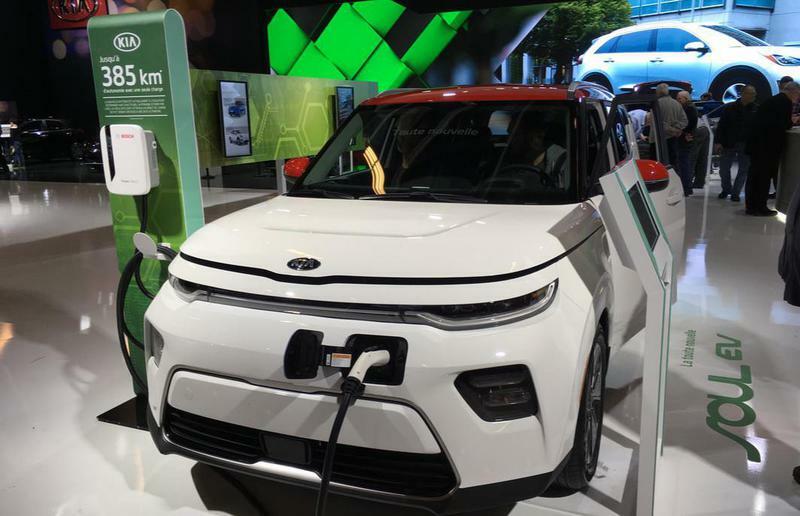 With Kia/Hyundai promising a bunch of new EVs for 2019 in the USA with the 64KWh battery - Soul EV, Niro EV, Kona EV, Ioniq EV (not yet announced what battery it might get) - I wonder which of these will hit US dealerships first, and in any quantity. The new Soul EV - called Soul EV Booster went on display here in Korea today. 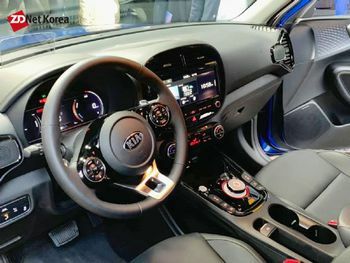 It has a Heads-Up-Display (HUD) just like the Hyundai K ona EV. The interior is a lighter grey than the very dark N iro EV. I much prefer the grey. But it looks like a cheaper plastic interior than our current cars. The new Soul EV also went on display in Montreal. Official range for the 64kWh battery 385km. I like that new widescreen infotainment screen, it seems high resolution and very crisp. The graphics seem to have more contrast than the screens in Kona/Niro EV. Also like the new LED display for climate control settings. Cooled seats and heated rear seats confirmed! There's a huge cavity in the "engine" bay where the heat pump used to be, I wonder if they removed it or just relocated it. I have not been able to find cargo capacity for the 2020 Soul EV. Car and Driver just published a road test for the ICE version and cargo volume is 62 cubic feet with the rear seats down. That is huge! Audi e-tron is more than two feet longer and only 57 CuFt. Will that cargo volume carry over undiminished to the 2020 Soul EV as it did for the Kia Niro EV and Hyundai Kona Electric? Kia site still shows these values "To Be Determined". jim3cantos wrote: ...Do you have an estimated delivery date for yours? No. Not yet. I am still on the list, and am interested in the details, but am unlikely to purchase. 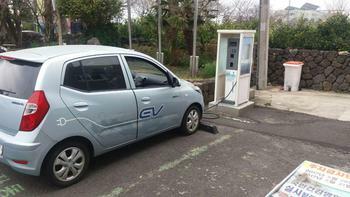 The final cost for a Noblesse trim 64kWh Soul EV is about 43,000 USD. I would get about 13,000 USD subsidy. This is about double what I paid for my existing 27kWh Soul EV. More importantly the final price is likely to be more than a brand new T esla M odel 3 SR.
Kia is fully aware that they have priced the car too high. The Kia dealer phoned us a few days ago to say that many people are 'unhappy' with the price and that Kia was now offering a special discount on a hybrid N iro to those on the waiting list. Presumably this is also the reason they are expecting to sell so few of these cars here in Korea this year. I ended up buying an old Hyundai BlueOn while I am waiting for a better car to come along. It cost less than one of Samsung's new mobile phones! First time heard of the Hyundai BlueOn. I get it didn't sell outside of Korea from what I can read in the Wikipedia.